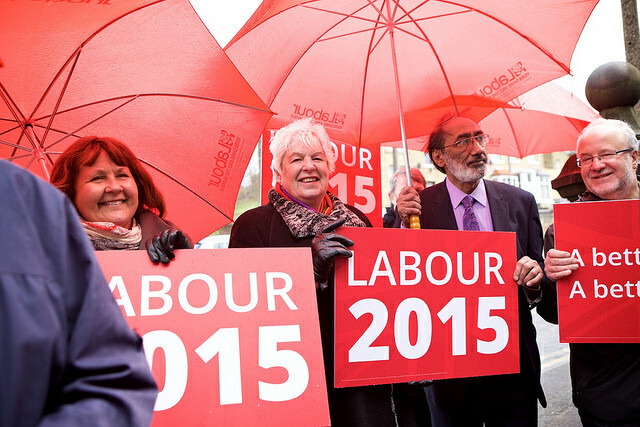 Since the 2015 election defeat the Labour Party has attracted many thousands of new members  and supporters, largely it seems as a result of the enthusiasm generated by the current leadership contest. What initially promised to be a very dull contest of triangulating centrists was electrified by the unexpected explosion in support for Jeremy Corbyn. As a result around half a million people or more will be eligible to participate in the contest to lead the party. On the face of it, this seems to buck a trend to which nearly all political parties in the Western World have been subject, that of disengagement and declining participation and membership. House of Commons Library figures  suggest that in 2013 all significant parties in the UK – Labour, Conservative, Liberal Democrat, Greens, UKIP and the SNP – had collectively less members than those now taking part in the Labour leadership contest. What has made this possible, of course, is a key reform to the party’s internal election process put in place under Ed Miliband which were a response to bad publicity over the Falkirk selection process  (involving Unite apparently recruiting members en masse in order to ensure the adoption of their favoured candidate). The outcome of the ensuing Collins Review  was the abolition of the party’s electoral college and its replacement with a system of one member one vote, including individual trade unionists who signed up as ‘Affiliated Supporters’ and enhanced with the enfranchisement of a new category of Registered Supporters, allowing individuals who registered by signing a declaration of support and paid a small fee to participate in the ballot for leader. This, the report said, meant ‘the final realisation of the … process that was begun by John Smith thirty years ago’ towards One Member One Vote in leadership contests. One might think that the fact that the effect this scheme has had on participation levels would be something for those concerned with the state of participatory democracy to celebrate. However, there has been a growing strand of commentary in the British press and media (now thankfully being countered by some such as Tom Baldwin ) which suggests that somehow the groundswell of supporters and members that have signed up to Labour since the election defeat in May should be seen as a disaster  and that they are ‘killing the party’ . Whilst the scheme is not perfect, this kind of response strikes me as overdramatic. Political parties have been struggling for decades to identify ways in which they can attract new supporters and members, largely without significant or sustained success. Although some ‘insurgent’ political parties have in recent months had some impact in terms of membership – UKIP claim well over 40,000 members, the Greens over 60,000, whilst the SNP claims over 100,000 – these (with the exception of the SNP in its specific national context) represent small numbers compared with the large memberships the main parties claimed in the past (3 to 4 million between them by some estimates), which have been in inexorable decline. Political parties seem to have been at a loss of what do about it. The Conservative Party, seemingly giving up on the idea of membership altogether, have even experimented with open primaries, allowing anyone to participate in selecting candidates for Parliament which involve making no commitment to the party at all (although the resulting selection in Totnes of an independent-minded MP in Sarah Wollaston may have given them cause to think again). Labour’s experiment with the registered supporters scheme in conjunction with a high profile leadership contest has been in many respects, therefore, a potential breakthrough. There has been much hype and hysteria about so-called infiltrators or ‘entryists’ from either the hard left or the right , including a Tory MP , and clearly the party might need to think about how it polices its borders, but a certain amount of ambiguity is going to be inevitable if parties are to be genuinely more open and engaged with the public beyond the usual, and dwindling, band of activists. In its favour, the scheme provides a simple and easy way in which people can indicate their support for a political party and their willingness to get involved on some level. It is thus a pool of potential new members, activists and donors. The fact that they have to sign up and pay a small fee to join up gives the party the opportunity, by widening support, to then deepen it. Certainly not all of these supporters will make the leap into membership, perhaps even a majority will not, but the most important question for Labour is whether – whoever actually wins the leadership election – the party can hold on to enough of these new members and supporters and convert them into activists and participants. As I have suggested elsewhere , for the Labour Party in particular, the opportunity is to finally have a proper debate about what its response to so-called ‘austerity’ should be and to engage a wider movement of participants in that process can only be a positive thing. A wider range of voices and participants in this debate, then, is surely welcome. Together, and with the involvement of many thousands of new supporters, members and activists, they might be able to produce a coherent, genuine and realistic response to austerity with popular appeal that is rooted in centre-left ideas and has the backing of enthusiastic grass-roots supporters across the Labour family. If so, this will be in no small part due to the life that the Registered Supporters scheme has injected into the party. That should be celebrated on every wing of the party and perhaps be watched closely by officials and analysts of political parties in general. Danny Rye  is Post Doctoral Teaching Fellow in Politics at Liverpool Hope University. He tweets @dannyrye.